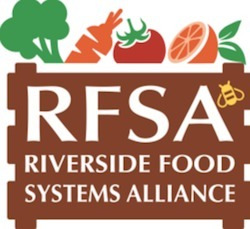 Riverside, CA – How can cities leverage unused agricultural land to increase the supply of locally available and create new jobs and farmers? What small scale urban agriculture solutions are bearing fruit? 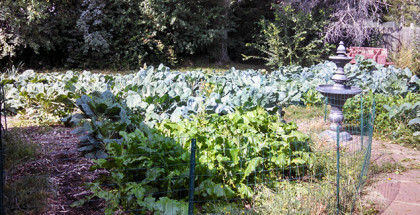 Is it possible to create an economically viable farming business on one or two acres of land? How can the USDA help? 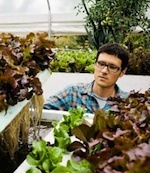 What are innovators in the sustainable urban agriculture space doing? What policy needs to be put into place to facilitate an active agricultural economy in a city and on its fringes? These and other questions will be the focus of Seedstock’s upcoming Grow Riverside: Citrus and Beyond! conference, which is set to take place on March 19 – 20 at the Riverside Convention Center in Riverside, CA. The event will feature urban agriculture innovators, key policy makers, nutrition experts, and investors, who will partake in a two-day, outcomes-based conference to examine solutions to help cities, Riverside in this particular case, to galvanize their citizens, growers, advocates, government officials and other major stakeholders around the economic opportunities that can result from employing sustainable urban agriculture. Pierre Sleiman is a young entrepreneur who has become involved in the mission of accelerating the movement towards local and sustainable farming and fostering interest in youth to choose agriculture as an exciting career. Pierre is the founder and CEO of Go Green Agriculture, a local farming business that grows local, high-quality leafy greens. He has been named as one of the “50 People to Watch in 2013” by San Diego Magazine and has been featured in over two-dozen other publications and live news broadcasts. He holds a Masters degree in Business from UC San Diego and a double Computer Science/Business bachelor’s degree from UC Riverside. Pierre was also recently elected to the Board of Directors of the San Diego Farm Bureau. Go Green Agriculture’s mission is to setup relatively small farms, a few acres in size, in major populated areas of the United States to supply healthy local food. Go Green started in Pierre’s garage during his undergraduate degree and has been on an aggressive growth mode since. Despite the company’s young age, and it’s owner’s, Pierre has raised private equity from industry leaders and has now deployed a new state-of-the-art facility that is five times the size of current operations, producing millions of heads of lettuce, spinach and kale, combined, per year. 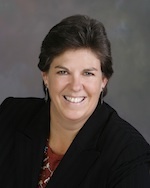 Dr. Glenda Humiston was appointed by President Obama in 2009 to serve as the California State Director at the U.S. Department of Agriculture (USDA), Rural Development. Humiston brings over 25 years of experience working on public policy development and program implementation supporting sustainability; prior experience includes service as a Peace Corps volunteer in Tunisia, as Executive Director of nonprofit advocating farmland preservation and value-added agriculture development, and several years as a consultant on environmental and agricultural issues throughout the western states. She served President Clinton 1998 – 2001 as Deputy Under Secretary for Natural Resources and Environment at USDA and managed the Sustainable Development Institute at the 2002 World Summit for Sustainable Development in South Africa and the 2006 World Water Forum in Mexico City. Humiston earned her Ph.D. from U.C. Berkeley in Environmental Science, Policy and Management in 2009 with research focused on U.S. Farm Bill policy; a Master’s in International Agricultural Development from U.C. Davis in 1989 and a Bachelor’s degree in Animal Science from Colorado State University in 1983. Recently she produced a widely acclaimed guidebook on “Access to Capital” and has led efforts to bring rural issues to the forefront of the state’s Economic Summit and policymakers throughout California. 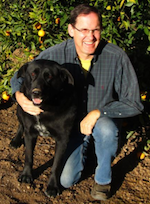 Bob Knight was born in Redlands and raised in an orange grove, a 4th generation farmer. He went to college & grad school in New York City and the next twenty years he spent working as a telecom executive mostly overseas in Japan, Indonesia, and Saudi Arabia. While in Saudi Arabia during the 9/11 tragedy, he realized what a wonderful place the Inland Empire is and how excellent raising his kids in an orange grove would be. He returned back to Redlands to manage his family’s farm and work in the citrus business. 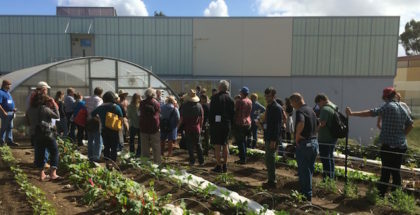 He is the founder of the Inland Orange Conservancy and Old Grove Orange Inc, which make local growers sustainable by connecting them to local families and school districts via direct sales. With his wife, he grows oranges, mandarins, grapefruit, kiwifruit, row crops, kids, and dogs on his 37-acre farm in Redlands. Colin and Karen Archipley: CEO and Co-founder/Vice President, respectively, of Archi’s Acres, Inc. and the Veterans Sustainable Agriculture Training (VSAT) program. Founded in Escondido, Ca., Archi’s Acres has demonstrated there is profit, public interest, and a compelling story in joining one of our country’s most pressing needs—sustainable food—with our country’s greatest untapped resource—our returning veterans. Archi’s Acres developed sustainable, hydroponic, organic farming to create opportunities for our returning veterans. To reach out to these veterans and give a hand up (not a hand out), Colin and Karen created the Veterans Sustainable Agriculture Training (VSAT) program, an intensive six-week agriculture entrepreneur incubator. By making business opportunities available to our veterans through farming, and capturing the entrepreneurial spirit with rigorous training, the mission is defined. Now, Archi’s Acres is looking to expand its successful, profitable and environmentally friendly hydroponic growing model and enable motivated VSAT graduates to open their own Archi’s Acres farms in select areas nationwide. This expansion is poised to become the largest, for-profit, veteran-driven initiative in our nation’s history. In addition to the healthy, high-nutrient food that this initiative brings to local communities, every acre of greenhouse will create over ten jobs, and every job created on the farm will create over 2.5 jobs elsewhere in that community. 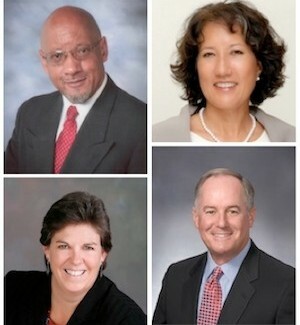 As a result of this and other programs in the SMMUSD and RUSD, Rodney is frequently invited to speak at workshops, participate in panels, conduct classes/trainings, and s peak directly to governing agencies and officials as well as receiving visits from other district representatives looking for methods to model the program. Rodney also serves on the UC President’s Advisory Commission for Agriculture and Natural Resources, and the Network for a Healthy California’s Executive Committee. Val Dolcini is the State Executive Director of the U.S. Department of Agriculture’s Farm Service Agency (FSA), where he is responsible for all USDA farm programs and policies in the nation’s leading agricultural state. He has been appointed to this position by two presidents – President Clinton in 1999 and President Obama in 2009. In 2011, he served as the acting Administrator of the Farm Service Agency in Washington, DC. Prior to his appointment, he worked for a Fortune 500 technology consulting firm where he guided government relations programs for company clients, strategized with business teams about relationship development and consulted with company executives on a wide range of political matters. He has held senior staff positions for the Governor and Lt. Governor of California and earlier in his career, Dolcini spent several years as a senior staff member for two California members of the U.S. House of Representatives. A fifth-generation Californian, Dolcini received a B.A. in History from San Francisco State University and a J.D. from Golden Gate University School of Law. He also attended the University of Uppsala in Sweden. 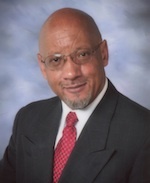 He currently serves on the San Francisco State University Foundation Board of Directors. David Rosenstein, a third- generation Angelino, began construction of the EVO Farm prototype just days before his first child was born as an act of optimism. Prior to launching into urban farming, David produced a number of socially conscious documentary films mostly for PBS. After years of research and travel he began to understand the critical nature of rethinking what we eat, how we produce it and how we access that food. The pursuit of the urban farming life is a natural progression for him- from producing ‘food for thought’ to producing thoughtful food. David is Chair of the Aquaponics Association– Western Region. He also Chairs the committee on Urban Agriculture for the Los Angeles Food Policy Council. Register NOW to receive the Early Bird Special Price!